You have likely heard the buzz about Google+ for some time. Perhaps you’re wondering why so many marketing professionals are focusing heavily on the new social network. 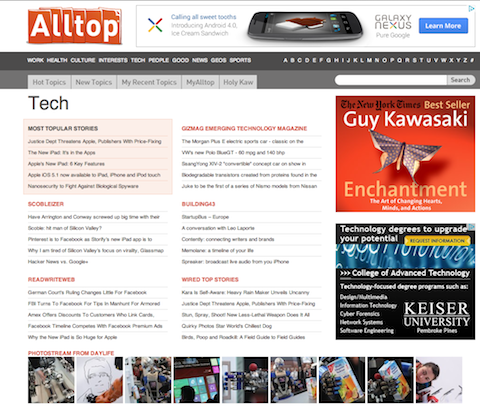 In this article, I sit down with Guy Kawasaki, the original Macintosh evangelist. You’ll discover why 99% of his efforts are now focused on Google+. 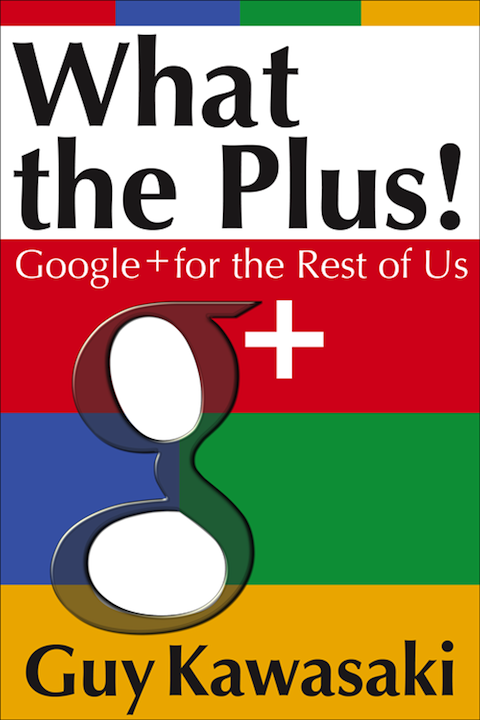 Guy reveals his Google+ strategy and talks about his new book, What the Plus! Google+ for the Rest of Us. And it’s very different than his other books. It reveals extensive details about how to benefit from Google+. Mike: Guy, why should businesses consider Google+? What are the major advantages? Guy: Businesses should jump on Google+ because it’s the Wild West, so you can stake your claim, as opposed to breaking through the noise on Twitter and Facebook. When Google introduced the concept of “social search,” it turned SEO upside down. Now when people search on Google, they see the actions of their friends on Google+. That’s huge. It means 1) you want people to circle you so that when they search, they see your posts and 2) you should post about what you want your followers to know you for. Mike: You have been a huge proponent of Twitter for some time, and later Facebook. Where does Google+ fit in for you with the other social networks and why? Guy: I fell in love with Google+ because of the ability to edit posts, the more elegant user interface and the quality of comments. Today, 99% of my social media effort is on Google+. Admittedly, this might not be rational or optimal, but when is love rational or optimal? In many ways, Google+ was like the second coming of Macintosh for me. It was that profound a discovery for me. I’ve only written two product-oriented books, 25 years apart: The Macintosh Way and What the Plus! What does that tell you? Mike: What the Plus! seems very different from your previous books. Can you explain why you wrote the book, who it is for and what makes it unique from the others that are out there? Guy: I wrote What the Plus! Google+ for the Rest of Us because it pains me that people aren’t “getting” Google+. I think it’s a better social networking platform than the competition—just like Macintosh was better than other operating systems. I can’t stand it when people aren’t using the best tool, especially when they’re taking the advice of so-called experts. I fought the same kind of “expert” advice with Macintosh during the 80s. Mike: Have you self-published this book? Guy: I did, working with the folks at Libboo, mostly Halley Suitt Tucker, and an independent consultant named Shawn Welch. I self-published because I wanted to hit a low price point—”less than a Starbucks grande latte” to be exact—and I wanted total flexibility to do any kind of licensing, sponsoring and whatever-strikes-my-fancy deals. For example, Samsung is sponsoring 6,000 copies. Can you imagine trying to get that through a traditional publisher? Tim Cook (current Apple CEO) will retire before that will happen. Also, Google says that it introduces one new feature a day, so I have to be able to revise this book all the time. Plus, do the math. I make 70% of $2.99 on an ebook, so about $2. I have to sell two copies of What the Plus! to make about the same amount on one copy of Enchantment. I think it’s easier to sell two copies of What the Plus! than one copy of Enchantment. And the time to market from the time I finished the book was less than a week. Ebook self-publishing is very compelling if—and it’s a big if—the author can also market the book. I can let you know in a few months how this experiment has worked out, but it sure is fun. Mike: What is your daily routine on Google+? Guy: At night, I lay in bed with my Samsung Galaxy 7.7 and check several sites: autos.alltop.com, gadgets.alltop.com, NPR.alltop.com, tech.alltop.com and photography.alltop.com. They help me find stories to post the next morning. I’ve created a circle with only me in it. Using Opera, I share these stories with my circle—this means no one sees it but me. Then in the morning, I use these shares to post stories to Google+. I also look at the posts shared by the members of #sciencesunday for stories. Then I post throughout the day, and use the Gmail notifications of +mentions to respond to people. I try to respond to every comment that +mentions me. 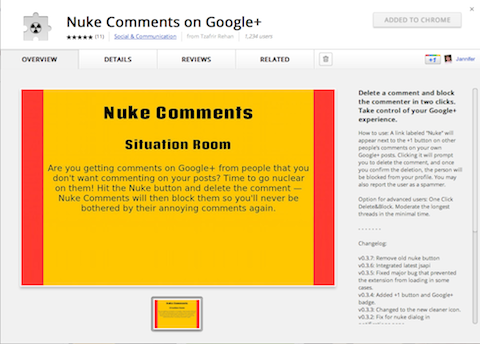 I also spend a fair amount of time “nuking” spam, etc., using the Chrome extension called Nuke Comments. Mike: Should businesses focus on their personal profile or company pages when it comes to Google+ and why? Guy: This is a tough question. The answer is clearest when the entity is a sole proprietorship or individual brand. If the entity is likely to live longer than the person, then it should be a company page. I have found it difficult to maintain more than one presence on Google+. It’s like trying to keep two Macintoshes current, happy and up to date… if you know what I mean. Mike: Can you share some tips that businesses should consider when setting up a Google+ account? Tip #1 I just mentioned: Make sure that people feel like they’re interacting with a person, even if your Google+ page represents a company. Tip #2 is to adopt what I call the NPR model. NPR provides great content 365 days a year. The content is so great that we tolerate the telethons and fundraisers. The content you share on Google+ should provide value: information, analysis and assistance. Your content should be so great that you earn the right also to promote your product or service every once in a while, like 5% of the time. For example, if I were running VirginAmerica’s Google+ page, I would be constantly posting pictures of the cities that we serve, food from those cities and celebrations from those cities. I would link to Real Simple when I ran a story about how to pack properly. I would link to a Lonely Planet article about the ten best outdoor adventures in south Florida. I would link to Andrew Zimmern’s Bizarre Foods coverage of food in Texas. Maybe even when Mike Rowe has a “Dirty Job” in New York. In other words, the content would be all about how to travel, whether for fun or business. Then because people circled our page to keep seeing all the good stuff, we would have earned the right to talk about our new routes and new fares. If companies just do these two things, they’ll be fine. Mike: Where can folks get a copy of your book? Guy: The best place to start is WhatthePlus.com because this is where the special promotions and such will be provided. But trust me when I tell you that my goal is to make bumping into What the Plus! unavoidable if you’re on Google+ in the next few weeks. 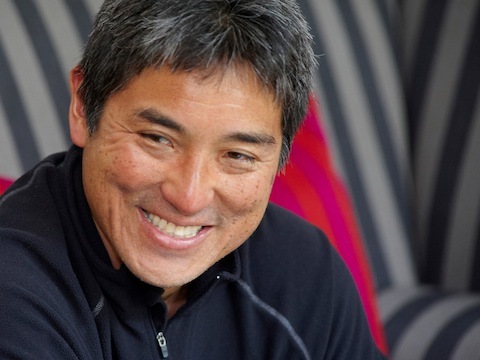 Mike: What’s next for Guy Kawasaki? Guy: I have no idea. If I sell enough copies of What the Plus!, I’ll dedicate my life to my family and playing hockey. That’s all I really want to do. What do you think? Have you started focusing on Google+? If so, how has it helped you? Leave your questions and comments in the box below.